Well, that didn’t take long. Just a little over a month after being fired for at least 41 instances of plagiarism, former BuzzFeed viral politics editor Benny Johnson has been hired as The National Review’s first-ever social-media director. 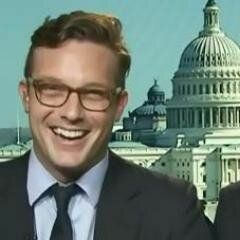 He’ll begin his new job on Monday, reports Politico’s Mike Allen. The conservative magazine seems like a good fit for Johnson, who previously worked at Breitbart and Glenn Beck’s the Blaze. The National Review also just happens to be one of the many publications Johnson plagiarized from while he was at BuzzFeed. Imitation is the sincerest form of flattery! Oh, hello again! What did I miss? Johnson will start out by running The National Review’s Twitter and Facebook accounts. “Over time, he’ll do more creative work of his own,” Allen reports. Everyone will just have to wait to see whether he’s capable of pulling that off.